The Act would prohibit local governments from creating “right-to-work” zones and clarify that laws concerning collective bargaining are the responsibility of the state legislature. Right-to-work laws deprive workers of fair representation. Senate Bill 1905 passed the Senate in April, and the governor vetoed it last month. The Senate voted 42-13 today on a bipartisan override of his veto. House Bill 40 protects the right of women to make decisions about their reproductive health by ensuring that abortion remains legal in Illinois even if Roe v. Wade is overturned. The measure moves to the House now, which is expected to send it quickly to the governor’s desk. SPRINGFIELD – A much-needed overhaul of the civil asset forfeiture process in Illinois was signed into law today. 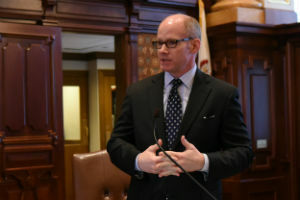 Senator Don Harmon (D-Oak Park) sponsored the measure in the Senate, where it passed unanimously in May. It was heavily negotiated with police, state’s attorneys and civil rights groups, and it garnered bipartisan support among state lawmakers. The new law seeks to end the controversial practice of “policing for profit,” which incentivizes police and prosecutors to seize cash, cars, land and other property from people suspected of – but not necessarily charged with or convicted of – criminal activity under current state law. The property frequently is forfeited and auctioned off, with proceeds going into the government coffers. Illinois is taking steps to curb civil asset forfeiture as it is becoming easier for police to seize property across the country. In July, Attorney General Jeff Sessions in July rolled back a series of Obama-era reforms intended to limit the practice. 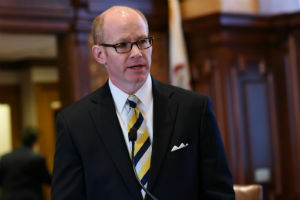 "I am glad Illinois has taken this dramatic step forward, especially while the federal government is going backwards on this issue,” Harmon said. “It's a simple concept - the government should have to prove that it has a right to take your property, not the other way around." 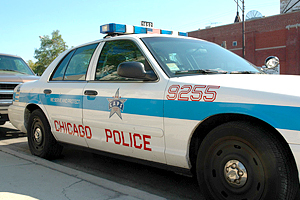 The previous law in Illinois was unclear on whether probable cause was a requirement for police to seize property. Additionally, law enforcement agencies were not obligated to return property seized during an investigation, even if the owner was never charged or convicted of a crime. • Improves the rights of property owners by placing the burden of proof on the prosecution instead of the property owner and creating an expedited process to have cases adjudicated more quickly. • Increases the government’s burden of proof from probable cause to preponderance of the evidence. • Requires the government to do more to ensure property owners receive notice of forfeiture proceedings and understand the steps they must take to argue for the return of their property. • Eliminates the requirement that property owners must pay a “cost bond” equal to 10 percent of the value of the seized property before their case can be heard by a judge. • Exempts small sums of cash from forfeiture and provides that mere possession of a miniscule amount of drugs will no longer serve as a legal basis for forfeiture. • Provides for new data collection regarding property seizures and forfeitures. The information will be reported to the Illinois State Police, and the aggregated data will be posted online. The new law takes effect Jan. 1, 2018. The new law establishes an automatic voter registration system in Illinois by July 1, 2018. 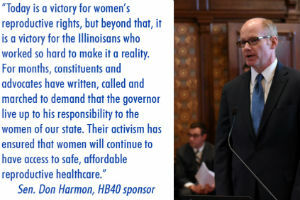 Harmon was a chief co-sponsor of the measure, which passed the Senate on a vote of 48-0. 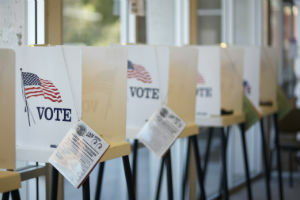 Qualified voters will be automatically registered to vote when they visit the Illinois Secretary of State and other state agencies for services. Voters can opt out of the system, and a series of checks will protect against fraud. Automatically registering voters when they do business with the state enables government to do away with redundant paperwork, streamline bureaucracy and be more cost effective for taxpayers.